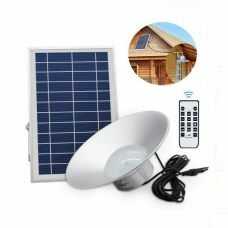 Ceiling LED Solar Shed light with manual and remote control is brand new high-quality lighting powered by Solar Power that does not require any electric wires or additional sources of energy. 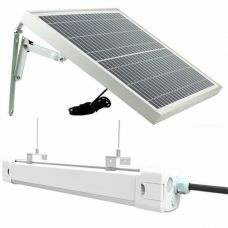 One of the main features of the light is that the solar panel is detached from the head that provides flexibility in operating the lighting indoor while the powering source remains outside. The product equipped with dual operating options: manual switch and remote control. 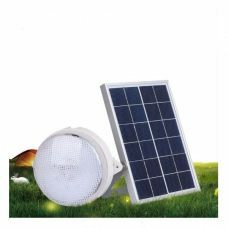 The current model of shed light has an energy-efficient solar panel that absorbs the sunlight during the day and converts it into the energy which stores at rechargeable Li-Ion battery to power the light up when needed. Dual operating modes allow using LED light by turning it on and off. The LED ceiling shed light is easy to install, operate and maintain. 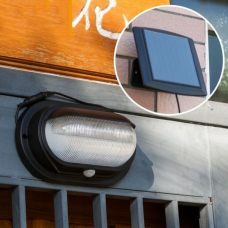 The light provides suitable illumination across a wide area and is perfect to maintain lighting in a shed, patio, veranda and garage. 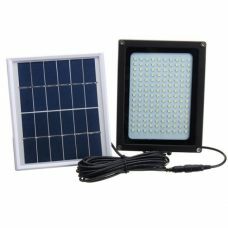 The LED ceiling Shed light is energy and cost-efficient solutions for Australian households. - Dual control: manual pull cord and the remote control. - Steady On performance by LED bulb technology. 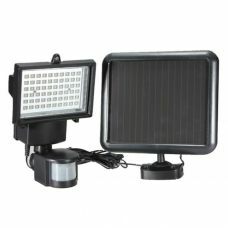 1 X Ceiling Solar shed light. 1 X Ceiling mount kit. Great light for a garden shed.